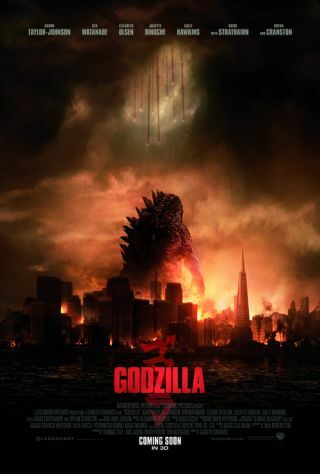 Godzilla (2014) – film review | What Hi-Fi? King of the Monsters. That’s Godzilla’s official epithet. But to most people the creature is just a special dinosaur, another blockbusting tool for toppling buildings and flipping cars. Yawn. Boredom is not an appropriate response to violence. Yet it seems inevitable: mayhem is doled out so freely these days that it takes something truly special to stand out. Director Gareth Edwards understands this. His ingredients are the same as everyone else’s – CGI and mass destruction – but they’re used wisely and strategically. Satisfying and intensely thrilling, this Godzilla is a roaring success.